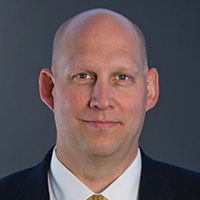 Kelly A. Evans is a founding partner of Evans Fears & Schuttert LLP. His practice is focused on trials of product liability cases. Kelly has tried cases for major pharmaceutical, medical device and automotive companies in many courts throughout the country. Kelly knows how to select juries and present complex facts and arguments in a manner that is simple to understand and results in verdicts for his clients.